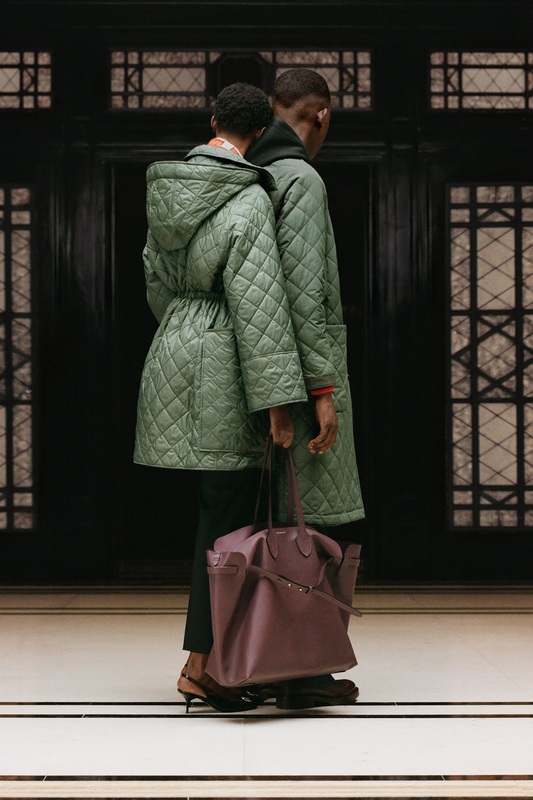 As anticipation builds for Riccardo Tisci's debut collection for the house of Burberry, the Italian designer who took over as their new artistic director has curated an edit called ‘B Classic’ for Burberry’s Resort 2019 Collection which is focused on classic Burberry essentials, including trench coats, quilted jackets, car coats, kilts, capes and checkered prints. “I wanted to celebrate the beauty, heritage, and legacy that I discovered when I first arrived at Burberry,” Tisci said about the curation. Embracing classic shapes and clean finishes, the collection looks to be deeply rooted in the British luxury brand's iconography and heritage. The pairs of models who encompass the idea of fashion fluidity and the duality of clothes continues the celebration of the LGBT+ community championed by Christopher Bailey in his final show in February. Riccardo Tisci's aesthetic vision for Burberry will be unveiled this fall at London Fashion Week. I'm totally smitten with the outfits modeled in the next to last image! I'm finally ready to purchase a classic Burberry trench and trying to decide between this one and this one. I think I'm leaning towards the Amberford because it looks more versatile and travel friendly. 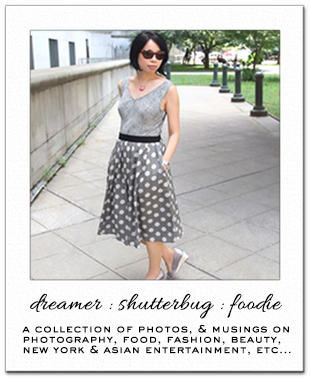 Have you entered my Beauty by PopSugar giveaway? Don't miss out on the chance to win a selection of fun makeup products! I love the new Riccardo Tisci's vision... so classic and chic! How awesome pics. Very original and unique vision. It’s going to be great to see what Tisci does with Burberry (future) collections, being such a great designer I’m sure it will be marvellous. Great continuity with this one. The fashion on point the presentation amazing. Have a great weekend. Yes for more trench styles. I just dug out mine recently and have been loving it! This is the first time I'm seeing this, chingu! What a beautiful collection. I want every.single.item. Burberry just does coats so well. Well done, Ricardo! It's so refreshing to see classic pieces like these and yes! The second to last image is my favourite too! I love these photos and collection! It's super chic! WOW! These are really beautiful. I like the second and the third most. These are great photos! :) I'd love a classic Burberry trench one day! I have one I bought years ago that's still going strong and it was such a good buy, even if it was on sale for under $50, haha! Yes it is so nice to see fashion be so inclusive. And I have been wanting a Burberry trench forever now. But just can not afford to plunk down 2k but one of these days I will! 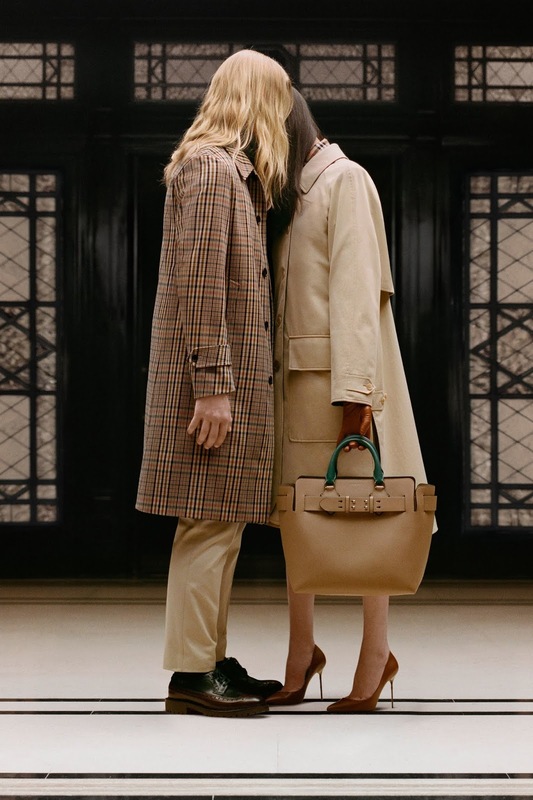 From those two Burberry trench coats I would go for the second one because it looks more feminine and elegant, but the first one does look very practical and perhaps it is also more versatile. I think both of them are a lovely choice. This editorial is very pretty. I like everything about it, the photography, the models and the clothes. The way the models are leaning one to another suggests delicate intimacy. Thanks for sharing! I never paid attention to Burberry purses before until I saw this post. They seem very modern and nice! It'd be still a classic trench if I'm to splurge, though. This is a beautiful collection! I've always liked the classy look of Burberry! I love that black cape coat! I love how it celebrates the LBGT community! Lovely presentation of the collection!